UROVESA delivered approximately 1,200 T3 and T5 models of the VAMTAC under their contract. VAMTAC is used by the armed forces of Dominican Republic, Morocco, Romania and Venezuela. 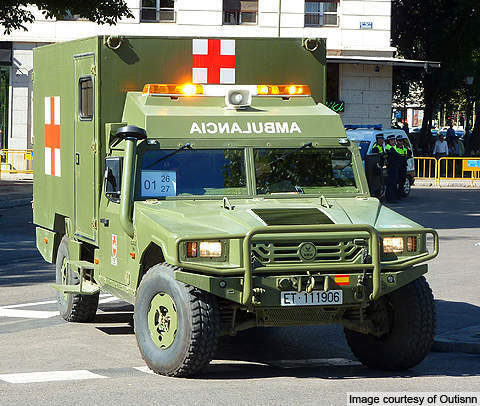 A VAMTAC S3 ambulance variant used the Spanish Army. 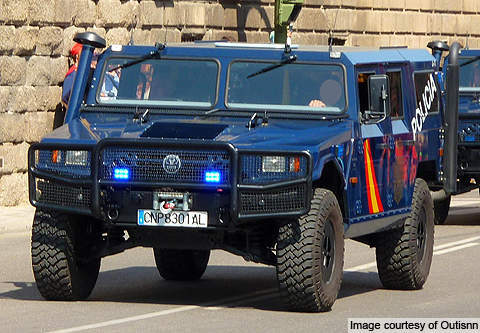 A police variant of the vehicle, which is used for reconnaissance, command and control, fire support and tactical transport missions. VAMTAC (Vehículo de Alta Movilidad Táctico) is a multi-purpose light utility vehicle produced by URO Vehículos Especiales, for the Spanish Army. The vehicle is used for reconnaissance, command and control, fire support and tactical transport missions. VAMTAC was developed in 1996 to meet the requirement of the Spanish Armed Forces. It was successfully tested by the Spanish Ministry of Defence, and a five-year delivery contract was awarded in 1998. 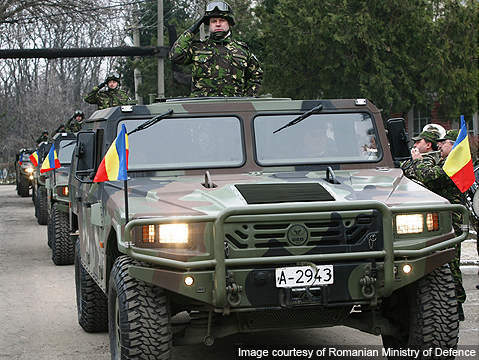 UROVESA delivered approximately 1,200 T3 and T5 models of the vehicle under the contract. In October 2005, the Ministry of Defence placed a new five year contract for VAMTAC. The new vehicles incorporated some changes and the existing two models T3 and T5 were renamed as I3 and S3 respectively. 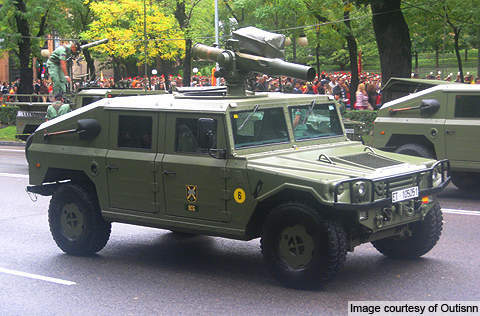 Spanish forces received approximately 900 S3 vehicles under this contract by the end of 2009. In April 2008, Malaysia placed a $19.1m order with UROVESA for 85 VAMTAC vehicles. Saudi Arabia also placed a contract for 30 vehicles in 2010. VAMTAC is used by the armed forces of Dominican Republic, Morocco, Romania and Venezuela. It was deployed by the Spanish Amy in Afghanistan, Congo and Lebanon. The Singapore Armed Forces (SAF) received the first shipment of VAMTAC ST5 vehicles in 2015. A batch of VAMTAC ST5 vehicles were delivered to the SAF in the first half of 2016. "VAMTAC was developed in 1996 to meet the requirement of the Spanish Armed Forces." VAMTAC closely resembles the US Army High Mobility Multipurpose Wheeled Vehicle (HMMWV or Humvee) as it was built to similar specifications. The base variant features a rectangular shaped cabin with a slightly tilted down roof on the rear side. The forward cabin has a large two-piece wind shield. Two doors on either side of the vehicle allow the entry and exit of the crew and troops. Each door has a rectangular bullet-proof glass for observation. The modular design allows a number of configurations to suit the missions. The vehicle has a length of 4.8m, width of 2.1m and height of 1.9m. The curb weight ranges from 3t to 3.5t. VAMTAC carries a maximum payload of 2t and can tow loads between 2t and 3.5t. VAMTAC is available in a wide range of versions with different body types. The primary variants are pick-up, command/control and chassis-cab. Pick-up and chassis-cab variants are available in three models – two-door, four-door and the four-door variant with smaller rear doors and reduced cab area. The chassis-cab variant can mount different types of shelters or cargo compartments. The command/control vehicle features four-doors, cargo space and communication masts fitted on the corners of the shelter. Other notable variants include an ambulance vehicle, anti-tank vehicle equipped with TOW or MILAN anti-tank guided missiles and an anti-aircraft vehicle armed with Mistral surface-to-air missiles. VAMTAC can be armed with wide ranges of weapons systems such as 7.62mm machine gun and 12.7mm gun, 40mm grenade launchers, anti-tank guided missiles, 81mm mortar, 106mm recoilless rifle or air defence missile systems. The armoured variant of VAMTAC offers ballistic protection. It features a strengthened body which is completely made of ballistic materials for increased protection. It is also equipped with roof-suspended seats and reinforced suspension. Around 25% of the Spanish Army VAMTACs were fitted with add-on armour kits for ballistic protection. The vehicle is powered by a Steyr turbocharged six-cylinder diesel engine coupled to an Allison AT-542 4-speed automatic gear box. Producing a maximum power output of 188hp, the engine provides a top speed of 135km/h. The 110l capacity fuel tank allows the vehicle to travel over 600km. The full-time, four-wheel drive vehicle demonstrates better capabilities under the most difficult conditions, with temperatures ranging from -20° to 50°. It has better mobility over all types of terrain including snow, ice, mud, sand and rocky fields. "The vehicle has a length of 4.8m, width of 2.1m and height of 1.9m." The front and rear axles are equipped with differential lock controls. The independent suspension on each wheel provides high ground clearance. The vehicle can climb a slope of 70% and cross the water with a depth of 750mm and 1,500mm with special preparation. VAMTAC is air transportable by C-130 transport aircraft and can be carried as an external load underneath the CH-47 Chinook helicopter. This project forms part of our recent analysis and forecasts of the global armoured vehicles and counter IED vehiclesmarket available from our business information platform Strategic Defence Intelligence. For more information click here or contact us: EMEA: +44 20 7936 6783; Americas: +1 415 439 4914; Asia Pacific: +61 2 9947 9709 or via email.